WhenTheClockStrikes create an energetic pop-punk that builds off of the framework of Unwritten Law and early Good Charlotte. The frenetic energy that the band includes on Contact will ensure that fans are firmly glued to the edges of their seats. The tautness of the band makes for a musically intricate and catchy arrangement; Contact stands up to repeat listens as there are so many things occurring every second. Whether it be crazy drum fills, a chunky bass line, or confident guitars and vocals, WhenTheClockStrikes starts off the EP well. Turf changes things up to adopt hints of rockabilly and surf style on the onset before going into a hard rock / punk style. Surf is a tremendous sort of track. The vocals are able to pull double duty here, providing some heady vocals even as it adds to the overall harmonies achieved here. The sizzling guitar work and splashy drums unite with a truly epic instrumentation to create something that listeners will be singing long after the EP has ceased to play. The dynamism of WhenTheClockStrikes is fantastic; the ability to change styles, increase or decrease the tempo, and adopt a wide variety of different genres showcases their talent as a band. Lose My Head is the final song on the Glowing in the Dark EP. The guitar/vocal interactions calls forth comparisons to Simple Plan and Yellowcard. Where this two-piece is front and center, one cannot deny the emotional heaviness of the drum/bass dynamic. 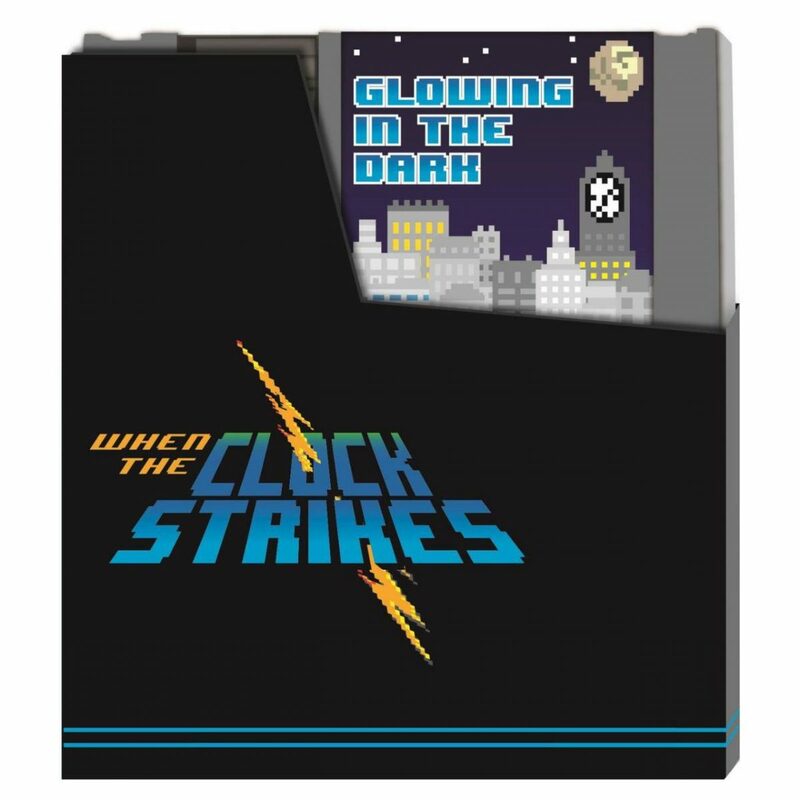 While this release is only a four-song EP, WhenTheClockStrikes is able to provide a dense and detailed introduction over this ten-minute release to anyone lucky enough to listen in. A solid production, raw passion and intense skill, WhenTheClockStrikes are able to create something truly special with their new extended play.